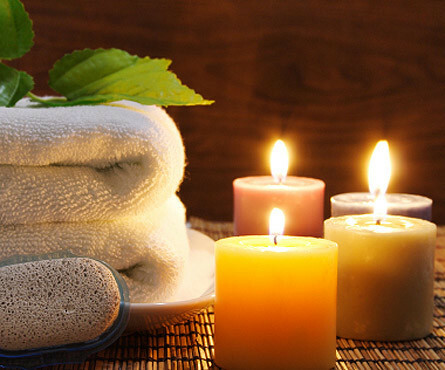 Your bathroom doesn’t look stylish, and poor atmosphere doesn't allow to feel pleasures? Your bathroom is ONLY functional, bathroom fitments are oldfashioned. There are faceless tiles on walls? Shower and sink are located inconveniently? Is cramped space being used irrationally? You don't have bidet or a hygienic shower? 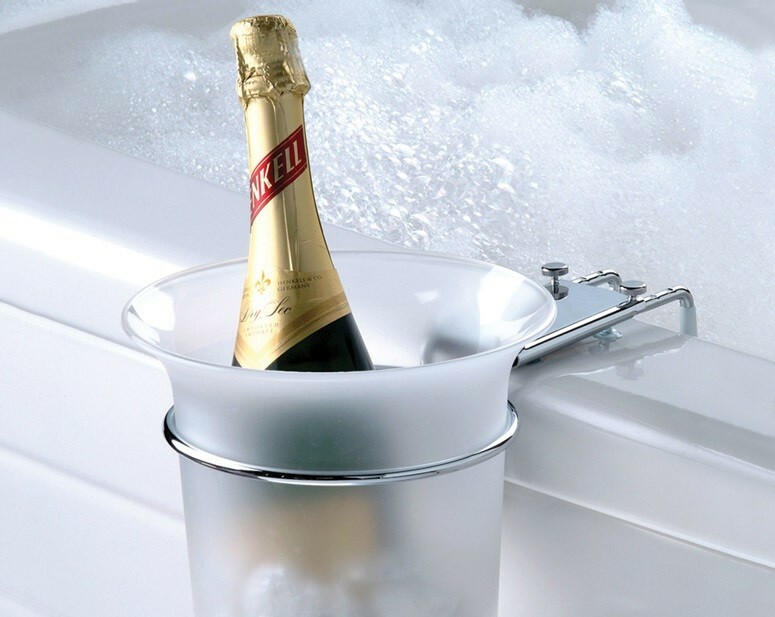 There is no cabinet where you can keep shampoos, bath salt and creams in the bathroom, nowhere to put a bottle of champagne? Each of your day begins in the bathroom and ends there. What mood do you want to set there? As a result, such days sustain our life! It’s up to you which life you choose whether it will be happy and pleasant, comfortable and full of energy or boring and functional. WE HELP YOUR DREAMS ABOUT IDEAL BATHROOM COME TRUE IN 4 WEEKS! why this is the optimal solution? You don't need to measure your place and draw sketches of your future bath, learn the rules for the placement of "wet points" and draw their location - our specialist, taking into account your wishes, will do everything for you. In 2 days you will have a detailed renovation project and a calculations! After the meeting we will make the project and calculations in a very short time, as far we have database with more than 340 variants of bathroom plans for our customers! We know everything about our customers. We are constantly improving company, we want you to feel comfortable and happy. We want your bathroom with it’s intimate atmosphere to become your favorite place, to fill you with energy, freshness and beauty. Let your perfume and creams in beautiful bottles to be conventionally located in the built-in wardrobes, and fresh towels on the lower shelves. The doors of the cabinet reliably protect the shelves from excess moisture and dust. 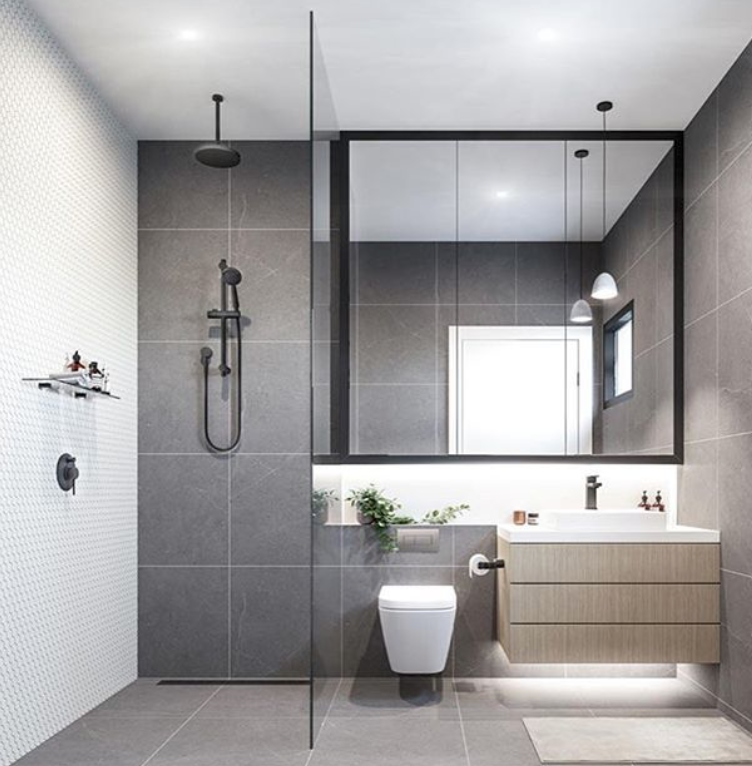 Every inch of your bathroom now is as convenient as possible: the coat hanger is a piece of art, the lamp with soft light makes sense of peace, the warm rough surface of the tiles on the floor makes you relax like being on the beach. Friends which comes are always admired by the harmony and laconicism of your bathroom as it is a pure fetish. We are perfectionists with the quality of work! To ensure stable quality and compliance with the highest standards of the industry, we have developed a unique service which includes: measuring, inspection of ventilation, plumbing, heating and electrical system. Drawing up a sketch and an engineering renovation project. 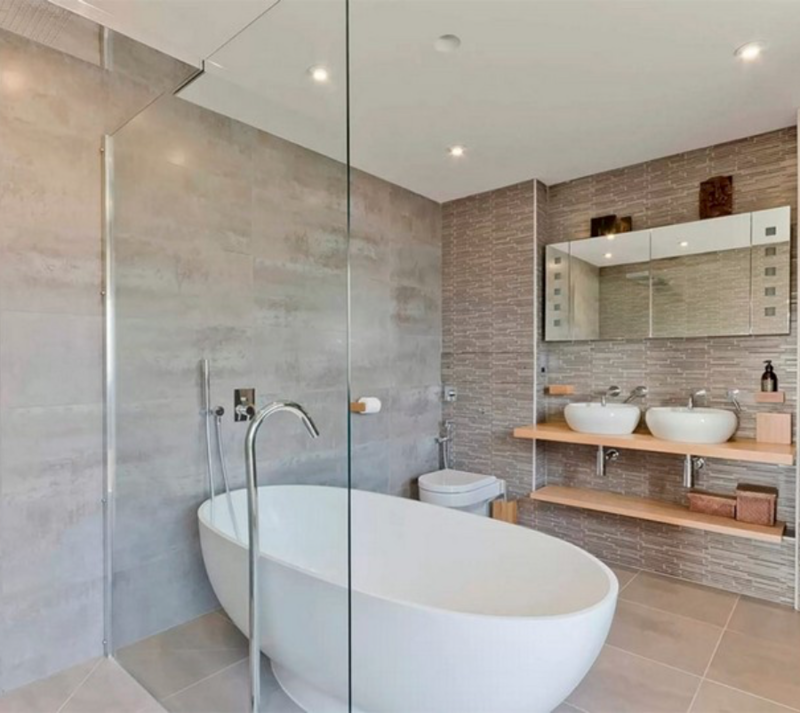 Our team comprises qualified engineers and designers who constantly improves their professional skills, they are ready to confirm your project or offer you an improvement which will help to get the best solution of the bathroom space. We cooperate with the most advanced suppliers where the price of materials corresponds to a fair market price, and is not overestimated by 10-30%. Our specialists always advise you several alternative materials or equipment with an optimal price / quality ratio. We appreciate our clients and are focused on long-term cooperation. Our partners database is constantly updated. We monitor for you the best terms of purchase of materials and equipment. We have our own cumulative discount system, which takes into account each of your purchase and the amount of the discount is constantly increasing. so the results will satisfy me over 100%. 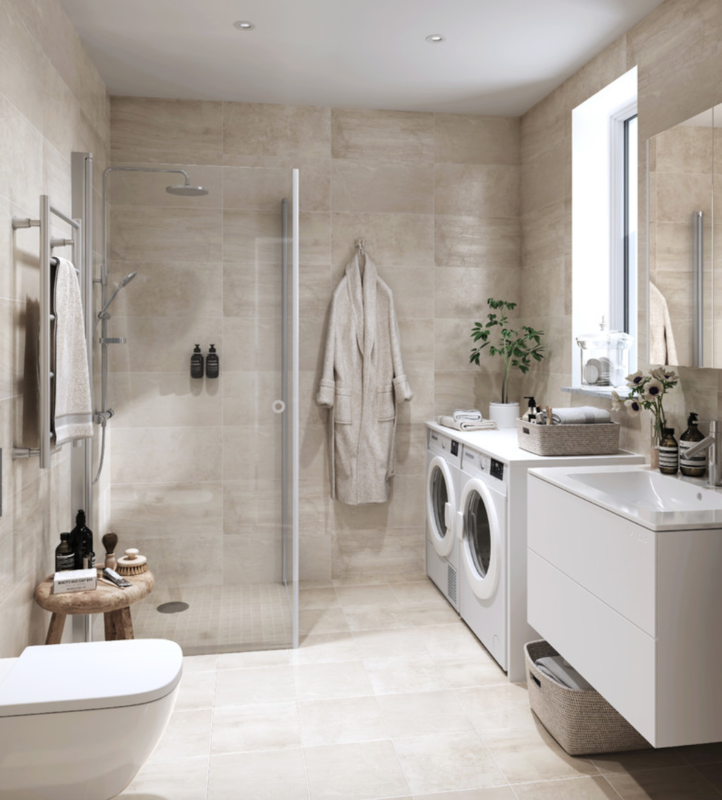 More than 360 customers have already become happier because they got their ideal bathrooms! For a long time I could not whither decide to repair the bathroom or not, I was afraid that the apartment would turn into a garbage dump and the noise would irritate neighbors, since I had wanted to destroy a wall in bathroom. Employees of the company did all the dirty work in just a one day and the same evening they took out the garbage. Very satisfied, thank you. I have a new bathroom. Now I spend much more time there because now it's the most pleasant place in my flat. In the process of bathroom renovation. The engineers of the company offer to me a very good solution for the new location of sink and bathroom. After renovation the bathroom seems twice time larger. Many thanks. I do recommend this company! Thank you, guys, for your patience and excellent quality of work! Three times changed the project in the process of implementation, in the end I am very happy with the result. Now everything is in its place, a large window was made, built-in wardrobes, thoughtful lighting. bathroom seems much larger! Month ago we fineshed the bathroom repair, thank you for idea to move the bathroom's door and replaced the built in boxes, now everything looks very modern and really nice. For a long time, I wanted to change tiles in the bathroom and to make a window in the ceiling. During renovation I saved enough money using engineer's recommendations it's also allow me to change all the plumbing. I'm absolutely happy and will recommend this company to everyone. For me, the timing was very important, since we will soon have a baby. The guys finished the project in 3 days ahead of schedule. The renovation was completed with high quality and design was very stylish. I'm very grateful. Live your opinion about us! Is it possible to move the shower to another part of the bathroom? Yes, it is possible, but it is necessary to plan in advance couse we need to make new supply and removal of water. Is it possible to install a warm floor in the bathroom? Yes, and we recommend to install a warm floor for your comfort. I want to make a glass partition in the shower instead of a brick, is it possible? 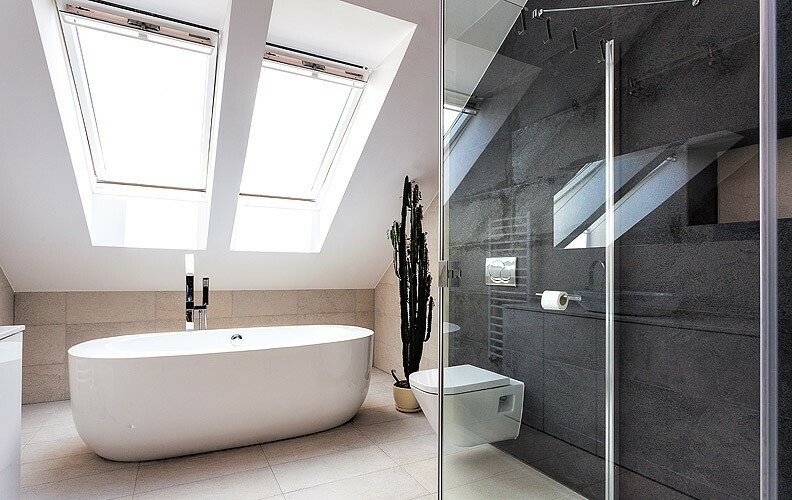 Yes, it is possible and it increases the bathroom visually. We usually recommend replacing a brick partition with a glass partition. Can I renovate the bathroom without coordination with the management of the house and neighbors? It is not necessary to agree repair with neighbors, but you should notify them about the forthcoming repair for 3 weeks, especially if you need a water to turn off. Can I move the bathroom's door to another place? Yes, you can move the door if the wall where you plan to put the new door is not a main wall. Can I purchase the materials by myself? Yes, if it's convenient for you to do it yourself. However, we have special transport and can do this for you. Can I get 2 variants of the repair calculations? Yes, we always offer 2 variants of the calculations for your choice. What documents are needed to implement the project? We need a plan for electrical wiring and other hidden communications. leave the request and we will contact you within 30 seconds!